• In this story, the Forbes Nonprofit Council makes seven predictions, based on trends, for charitable giving in 2019. • How might nonprofits use these predictions to appeal to potential donors? • To learn about how the Tax Cuts and Jobs Act may have affected charitable giving, click here. 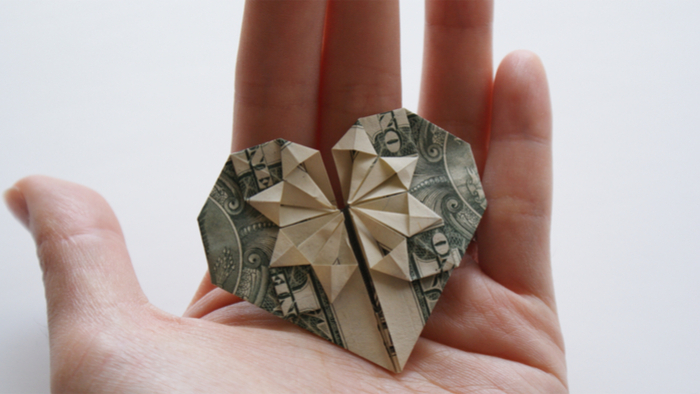 Nonprofit organizations rely heavily on generous donors to keep the business going. In today’s climate of divisive politics, social justice movements and tax reform, charitable giving is more susceptible than ever to the trends of our time — and if nonprofits keep up with those trends, they’ll be able to market their causes properly and bring in more donations than ever. We asked a panel of Forbes Nonprofit Council members to weigh in on some of the trends that could impact donations and giving in 2019. Here’s what they had to say. Giving Compass' Take: • Writing for PEAK Insight Journal, Vu Le discusses the misperceptions attached to fiscal sponsorship for nonprofits and how such a stigma is harming the sector. • The points made here — including how sponsorship allows for more efficiency and promotes better ideas — should be embraced by all and noted by donors who typically only show preference for nonprofits that have 501c status. • Rear the review of ‘Unicorns Unite: How Nonprofits & Foundations Can Build EPIC Partnerships." One of the common complaints lobbed against the nonprofit sector is that we have too many nonprofits competing for resources. So when someone suggests that they might possibly be thinking of maybe starting their own nonprofit, the response from many of us is often “Get the torches and pitchforks!” Then we chase after them, flinging rocks and hummus, until they and their ridiculous ideas of founding a nonprofit are driven out of our village. The more reasonable and understanding of us, though, may suggest that they do some due diligence, possibly looking to be fiscally sponsored by another nonprofit instead of forming their own. According to the Network of Fiscal Sponsors, “Fiscal sponsorship generally entails a nonprofit organization agreeing to provide administrative services and oversight to, and assume some or all of the legal and financial responsibility for, the activities of groups or individuals engaged in work that relates to the fiscal sponsor’s mission.” This makes a lot of sense. However, the concept of fiscal sponsorship is somehow unpalatable in many parts of our sector. It’s as if you’re not a “real” nonprofit unless you have 501c status. My organization until recently was fiscally sponsored, so we know how it feels. You feel like a kid trying to get a seat at the adult table. Like Pinocchio, you’re not a “real boy” if you’re fiscally sponsored!